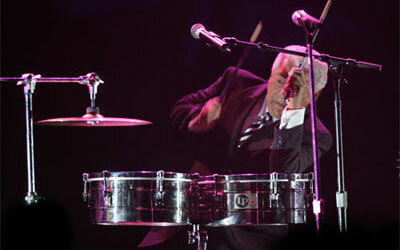 Legendary Percussionist Pete Escovedo is an artist who broke down the barriers between Smooth Jazz, Salsa, Latin Jazz and contemporary music. His name has been synonymous in the music industry for more than 50 years. This flash intro was developed for his website and features his trademark song "Watcha Gonna Do". This entry was posted in flash by admin-al. Bookmark the permalink.